His real name was Eugene Hargrave, but everyone called him Bubbles because he stuttered every time he said a word that started with the letter “B”. As much as Bubbles hated his nickname, he must have known that it could have been worse. His younger brother also played in the majors, and his nickname was Pinky. Bubbles was a catcher for the Cubs from 1913-1915, but didn’t get a lot of playing time because the two catchers ahead of him, Roger Bresnahan and Jimmy Archer, were both all-star caliber players. The Cubs released him after the 1915 season, and he didn’t make it back to the majors until 1920 (with the Reds), but when he got another chance, he took full advantage of it. 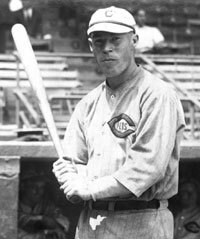 In 1926, he became the first full-time catcher to win the batting title when he hit .353 for the Reds. Butch, as his teammates called him, was an outfielder and pinch hitter for the Cubs for several seasons. He was a local boy from Berwyn, who attended Northwestern University. Butch got his most extensive playing time as the team’s starting rightfielder in 1960. Unfortunately, he didn’t display a lot of power. Will only hit six homers and knocked in 53 runs, and by the beginning of the 1961 season the Cubs had corner outfielders with a little more pop (George Altman and Billy Williams). Butch Will remained in the Chicago area after retiring from baseball, and passed away in Woodstock, Illinois in 2011. Edwards was a two-time all-star catcher with the Dodgers who had appeared in two World Series when the Cubs acquired him, but he would never live down how he came to Chicago. He was part of the trade that sent Andy Pafko to Brooklyn. Edwards (nicknamed “Bull”) played parts of three seasons with the Cubs, and really had more value as a pinch hitter than he had as a catcher. He hit .363 as a pinch hitter his first year with the Cubs. Among his career highlights; Bruce was the starting catcher in Jackie Robinson’s first game in the big leagues.